EDMONTON — The sky may be the limit for Hanson Boakai, but FC Edmonton coach Colin Miller will try to keep the talented 17-year-old midfielder’s feet firmly on the ground. 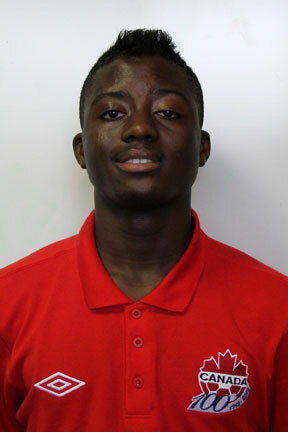 Boakai became the North American Soccer League’s youngest player when he made his professional debut as a 16-year-old last season. He is also the youngest — at age 17 — to score in an Amway Canadian Championship game, with his first pro goal on Wednesday helping the Eddies defeat Ottawa Fury FC 3-1 at Clarke Stadium.